Ms Slaats reports on the recent Primary FOBISIA Games, held in Bangkok, where 19 of our talented students competed against students from 14 other schools from around the region. We had a fabulous start to the FOBISIA Games at Bromsgrove International School in Bangkok. Day 1 was all about the students stepping out of their comfort zone and making new friends as 7 of our players joined up with Garden International School and TBS (Kathmandu) to play T-ball. This led to a brilliant performance by Saranyaa who walked away with a silver medal. Her team played double the number of matches compared to everyone else because she competed for both the A and B Team of TBS. The KIS A team started the competition slowly but quickly gained more confidence after the first two games. In the final game they played SIS and drew the match. By this stage they were more tactically aware and scored 8 runs. 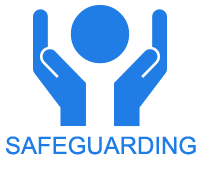 The whole team made a tremendous improvement as the games progressed and should all be congratulated for their determination and enthusiasm. Day 2 was even hotter, with temperatures of over 38 degrees. However, this did not stop our KIS students from giving it 100% in all of their matches. The Boys A squad played 4 football games and managed to draw 3 of them. The team defended well in these matches and came close to scoring on several occasions. The team lost their only match to Regents School, who went on to reach the final, only to be beaten on penalties. The Boys B squad did us all proud with some excellent football skills, working hard to outplay their opponents. Thor and Elias stood out in particular with good tactical skills and some incredible technical footwork, which even caught the eye of the coaches of the other schools. They all worked as a team and managed to draw all of their matches against some very strong and tall competitors. The Girls A Squad put on a really impressive performance despite only managing to draw in one of their matches. Their achievement, level of enthusiasm and developing skills that they showed in their matches indicated a blossoming football talent for KIS girls. Trinity joined Garden International School and did herself proud by displaying the same attacking drive as the rest of our girls. Trinity and her adopted team came in first place in their league and fourth place overall in their pool. Another example of a KIS student demonstrating what it means to take part in these friendly games! 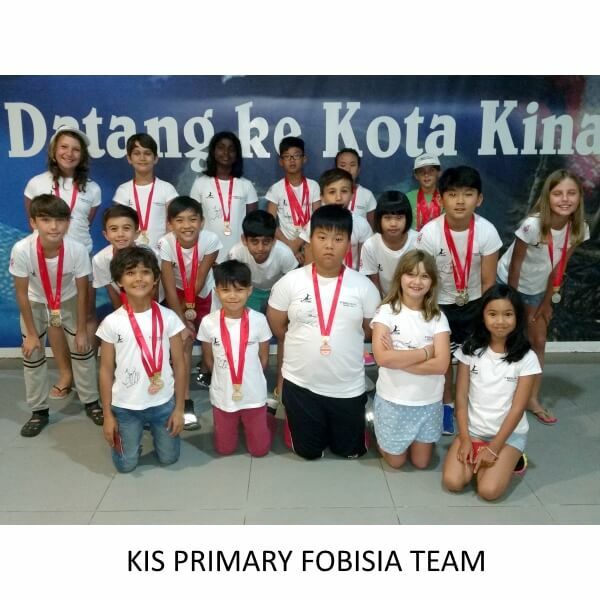 The last day of the Primary FOBISIA Games was the most exciting for KIS, with the best personal achievements. Our students excelled in track and field and did a great job in swimming in the A and B teams. The final results for athletics were: 7 bronze medals, 8 silver medals and 6 gold medals. For swimming KIS earned 8 bronze medals, 5 silver medals and 3 gold medals. We are very proud of these achievements, especially considering the sweltering heat of Bangkok and the very strong competition from the other participating international schools. Our students did KIS and themselves proud, not only in their personal sporting achievements but also in representing the school throughout the Games and during their stay in Thailand.